The Dutton Family invite you to thier show in Branson Missouri and to the The Dutton Family Theatre for some family style entertainment! 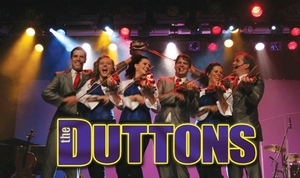 The Duttons are a multi-talented family of nine who perform everything from gospel to opera. The Dutton Family Theater (formerly the BoxCar Willie Theater) in Branson is buzzing with excitment! Be sure to add The Duttons Show to your vacation schedule while in the Branson area. You'll be glad you did!